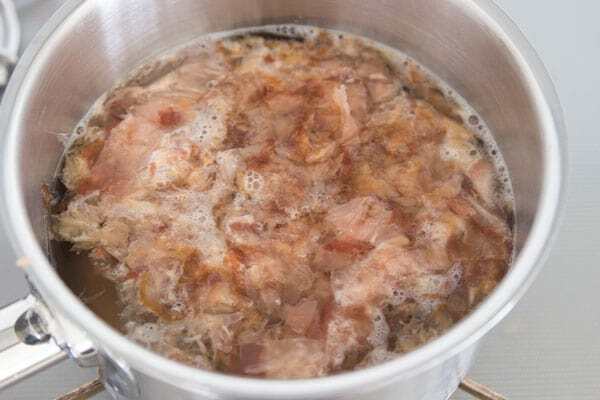 How to make dashi (出し) stock from scratch. A recipe for making Japanese dashi from katsuobushi and kombu. Because Japanese dishes tend to use so few ingredients, it’s very important that each ingredient be of the best quality available. It may seem basic, but since dashi is the basis of most dishes in the Japanese culinary repertoire, it’s perhaps the most important component to get right. While there are that vary by region, and even by cook, I think most will agree that making it from scratch will get you the best results. To make a basic dashi, you need two ingredients dashi kombu(出し昆布) and katsuobushi(鰹節). They can be found in any Japanese grocery store such as Mitsuwa and Marukai if you’re based in the US, and you can also try searching online at Amazon. In Japan there are many different kinds of kombu, but they typically fall under two categories. Kombu for eating and kombu for dashi. The former is typically harvested after growing for only one year, whereas the latter is harvested after two or more years. 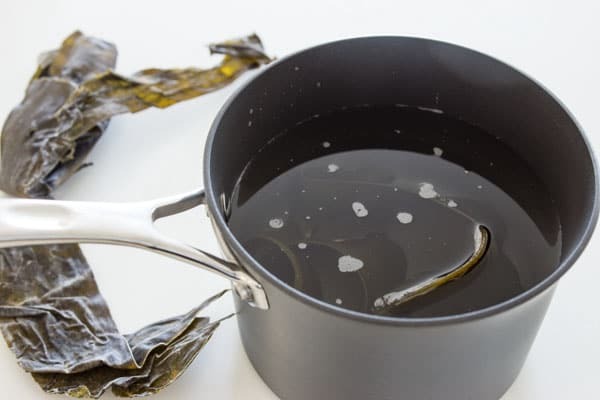 The older dashi kombu is tougher, but also contains more umami producing glutamates. In case you were wondering, monosodium glutamate (MSG) is a compound synthesized to try and mimic the naturally occurring glutamates in kombu. In Japan, the kombu from the northern region of Hokkaido, is considered the best for making dashi. More specifically, the island of Rishiri, located at the junction of a warm current and cold current, produces the very best kombu with an unusually high concentration of glutamic acids. Put a small crumb on your tongue and it will instantly bloom into pool of umami with a meaty flavor that tastes more like mushrooms than seaweed. To get the flavor out of the kombu, its best to soak it in water overnight. This releases the most glutamates in the kombu without releasing the mucilaginous compounds that could make your dashi viscous. Brought to a bare simmer, the faintly green transparent liquid is known as kombu dashi (昆布出し) and can be used in vegan cuisine as-is. 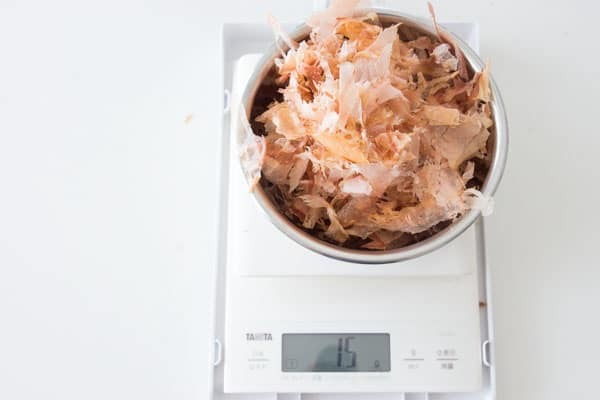 The second ingredient in basic dashi is katsuobushi, which is made by drying, fermenting and smoking skipjack tuna. Often mislabelled “bonito” or “bonito flakes”, katsuo is actually a species of tuna found in warm waters. While skipjack tuna contains a high level of umami producing inosine monophosphate, it increases by as much as thirty times when dried and smoked. Traditionally the whole dried and smoked fillets would be shaved prior to being used with a wooden plane. The task is dangerous and physically arduous, which is why most people just buy the katsuobushi shaved. They come in small finely shaved packs for eating, or big bags with bigger flakes for making dashi. 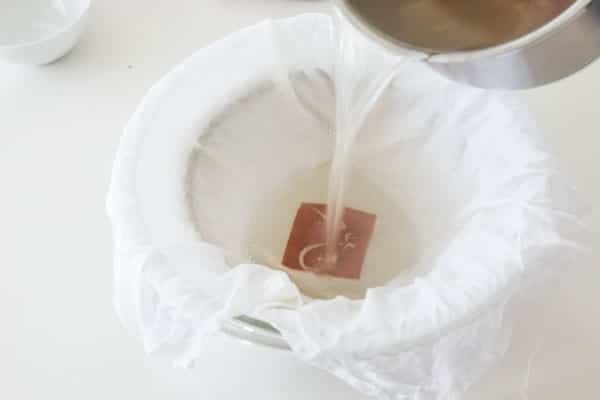 While either would work, the ones in the small packs will end up being very expensive since you’ll need to use a lot of packs to make one batch of dashi. The flavor is extracted much like you’d make tea, by simply adding the katsuobushi into hot water and steeping for 2 minutes. 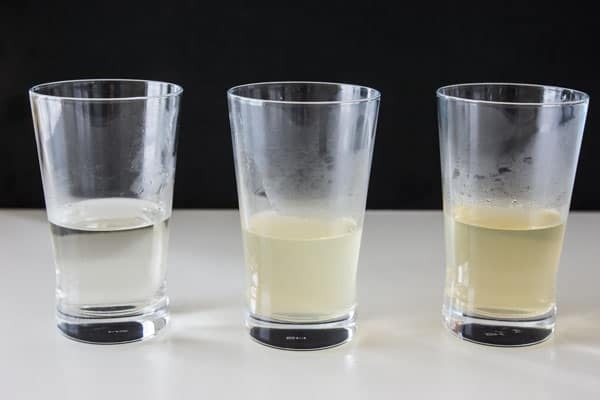 This results in a clear dashi that has all the umami tastebud stimulating inosinic acids, without the stronger and sometimes bitter tastes that can come out of the katsuobushi at higher temperatures. The concentration of the dashi can be influenced by the amount of katsuobushi and kombu added to the water. The basic formula I use relative to the amount of water is 1% kombu and 1.5% katsuobushi, which is perfect for miso soup. For applications such as sauces, I like to increase the amount of katsuobushi to as much as 3%. Keep in mind that 1 liter of water going into making the dashi will not yield 1 liter of dashi due to absorption and evaporation. Add the water and kombu into a pot and soak overnight. The next day heat the pot over medium heat until the water is steaming but not yet simmering. Remove the kombu and discard or set aside for another use. Turn up the heat and allow the stock to come to a full boil. Add just enough water to stop the boiling. Turn off the heat and add the katsuobushi (15 grams for a weaker dashi, 30 grams for a stronger dashi). Steep for two minutes and then pass the dashi through a cheesecloth lined strainer. Gently squeeze the cheesecloth with tongs and discard the katsuobushi. You can store the dashi for up to a week in clean water bottles.